DISGUSTING LIES. Yes, we are angry. It’s still so hard to believe but even The Washington Post, which you can disagree or agree with on any number of issues, has mostly been even-keeled when it comes to coverage of ed reform. So their recent posting on page A4 of a story by a blogger they employ, whose preferences and leanings toward only teachers unions are well known, blew our minds. That “story” (and truly it was a story) was full of lies. In fact, it suggested that the feds wasted $1 billion on charters that were closed, and then proceeded to relay misleading words and distorting facts about schools to prove their point. 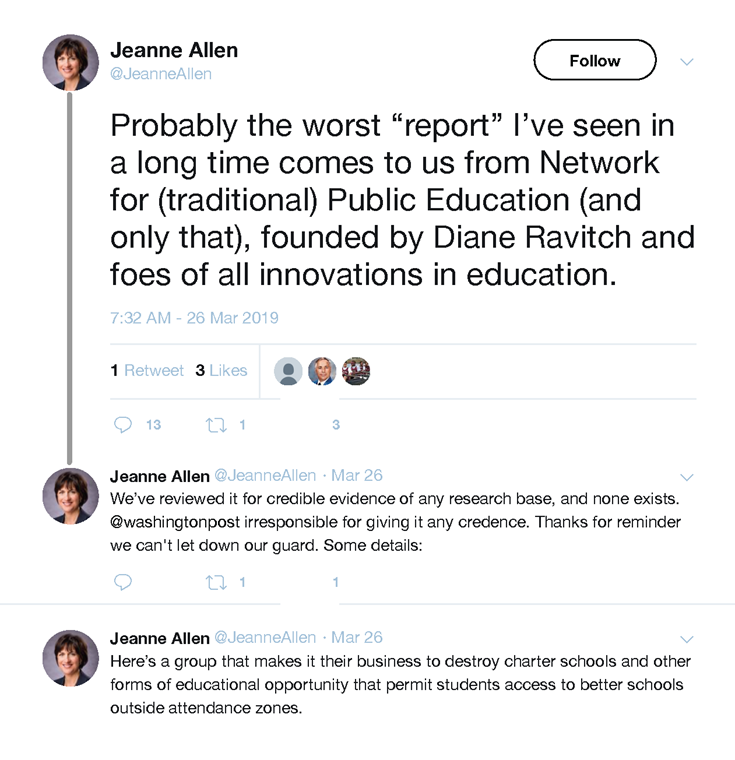 Jeanne Allen led the counter charge, igniting a tweet storm of ad hominem attacks. They can have the personal attacks, we’re happy having the facts. LAND OF ENCHANTMENT DISENCHANTS. Educator and school founder JoAnn Mitchell runs an award-winning, high-performing charter school serving low-income children in New Mexico. The state’s new Secretary of Education is throwing roadblocks in the way of her replication and expansion. Why would someone concerned about students interfere? 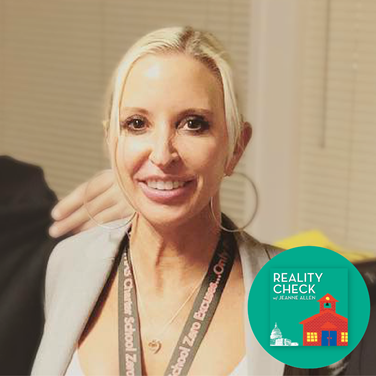 Interviewed on the most recent Reality Check podcast, her story of the attacks on the high-achieving Mission Achievement and Success Charter School, which has been supported and funded at a fraction of the cost of traditional public schools, will curl your toes. RESCUING THE CONFINED. Helping prepare students for their exit from incarceration, the Center for Educational Excellence in Alternative Settings(CEEAS) works to provide numerous educational offerings to teens and young adults held in confinement. Their Unbound newsletter sponsors monthly “Readathons” and the just tabulated results for February show that 6,429 books were read! Who can deny that preparing youth to reclaim their lives requires not only knowledge but positive life habits like reading and setting meaningful goals. Founded by David Domenici, whose successful founding of the Maya Angelou Charter School in DC earned him a place in the DC Charter Hall of Fame, CEEAS is showing how education and a better life are so intricately connected. A BULLSEYE FOR “WHY AMERICA?” CER established the “Why America?” project to teach students about American history in settings outside the classroom. While experience has long suggested the beneficial effects of experiential learning, it’s always nice to have our intuition confirmed. A just released University of Arkansas research study shows that students who attend multiple arts field trips have higher levels of social-emotional skills, stronger school engagement and higher test scores. Color us not surprised.